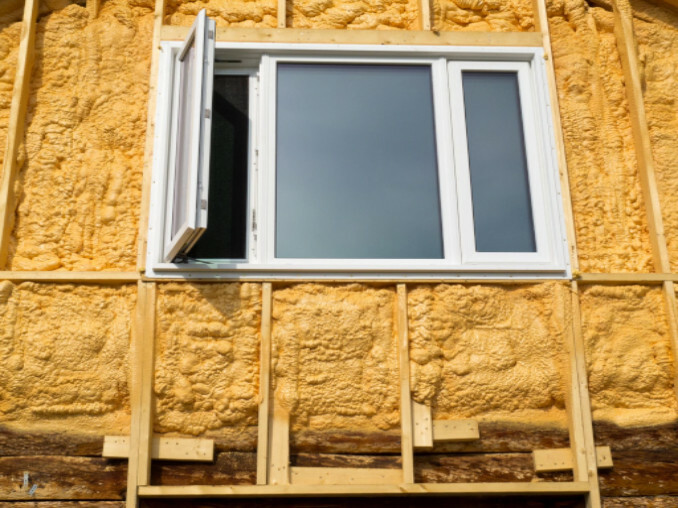 Insulate your home. If you have an older home, you may need to add additional insulation. Tune up your heating system. Don’t wait until the first cold snap to find out if your heater is working correctly. Reverse ceiling fans. Heat rises and this will help circulate your heat back down to the ground. Fix damaged roof shingles. Your home’s roof not only keeps you dry during a downpour – it also helps keep cold air out in winter. Patch up missing shingles and replace damaged ones. Caulk windows and doors. Warm air is precious on a cold day. Make sure it stays inside where you are by sealing windows and doors with caulk and doorstops. These trouble spots are common places in a home where heat leaks out and cold air sneaks in. Clean the gutters. The last thing you want in winter is freezing cold water or melting snow leaking into your home. Gutters help ensure that the water flows away from you home so that you and your family stay warm and dry. So grab a ladder, a friend or family member, and clean out those old autumn leaves! Call a chimney sweep. Planning to keep a crackling fire this winter? Before you do, call a professional sweep to get rid of the debris in your chimney. For additional winter home prep tips, read these end-of-the-year A/C heating maintenance tips.